Established in 1989, Gabriel’s Desserts offers a “made from scratch” cake, just like your grandmother made! We crack all our eggs, sift our flour and use real butter knowing that the finest ingredients yield an excellent product. As our business grew, we added pastry chefs and talented decorators to our team. Combining our "made from scratch" cakes with talented decorators produces cakes that are not only delicious but are too beautiful to eat. Gabriel's has been providing brides and grooms with cakes for over 20 years and we look forward to continuing this tradition for many years to come. 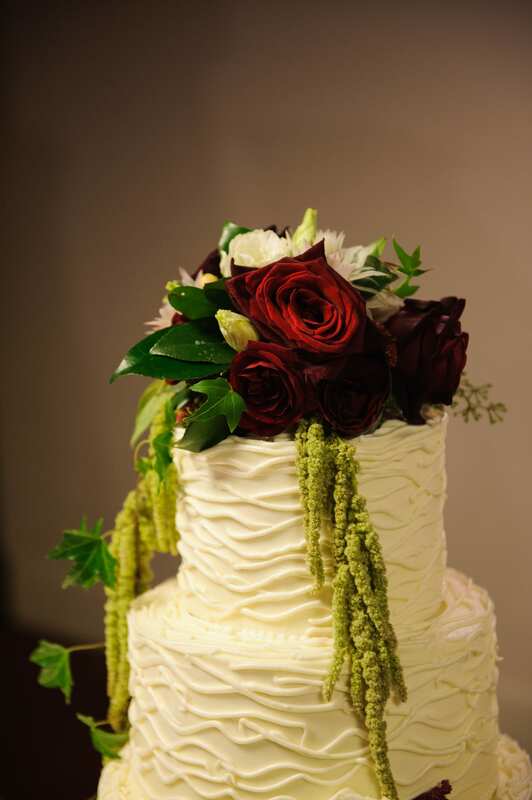 Our process of designing and creating a wedding and/or groom’s cake begins with a consultation and tasting appointment. These appointments are conducted on Monday, Tuesday, Thursday, Friday, Saturday. Saturday appointments are in high demand, so we suggest you book as soon as possible. At your appointment, feel free to bring inspiration for your cakes from any source (i.e. magazines, Pinterest, etc.). Alternatively, we have numerous photos of our own from which to choose or to begin an original design of your own. It is an exciting experience to watch your vision for your cake become a reality. We can usually provide you with a cost estimate during the initial consultation. However, a cake of more intricate design or numerous gumpaste flowers may require consulting with our pastry chef and/or decorators, but will be provided within a few days. Should you decide to employ us, we ask for a one-third deposit to hold the date, with the balance payable 10-14 days prior to the wedding. After a size and design of cake has been determined, the real fun begins with the cake tasting. Please email barbara@gabrielsdesserts.com with a day and time that is convenient for you and she will get in touch with you to confirm an appointment time.